DIN Standard Material Handling EOT Crane usually operate in a particularly hostile environment caused by heat, dust, fumes, corro-sive atmosphere.Applied industry of machinery production, assembling, petrochemicals, warehouse logistics, electric power construction, papermaking and railways. 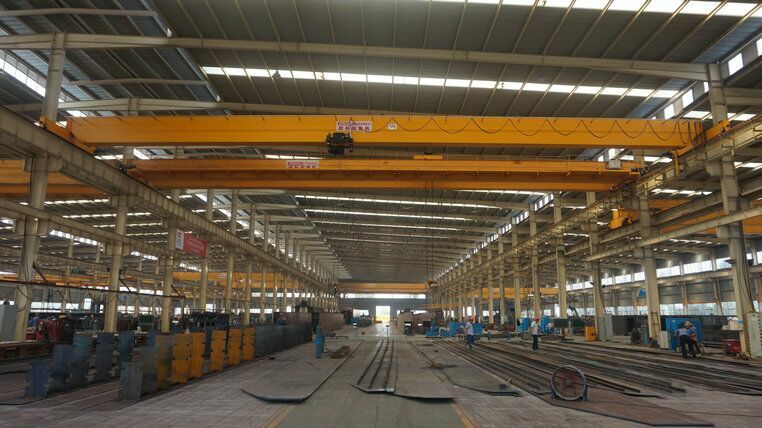 DIN Standard Material Handling EOT Crane can be used in 24-hour continuous service for more than 300 days per year. 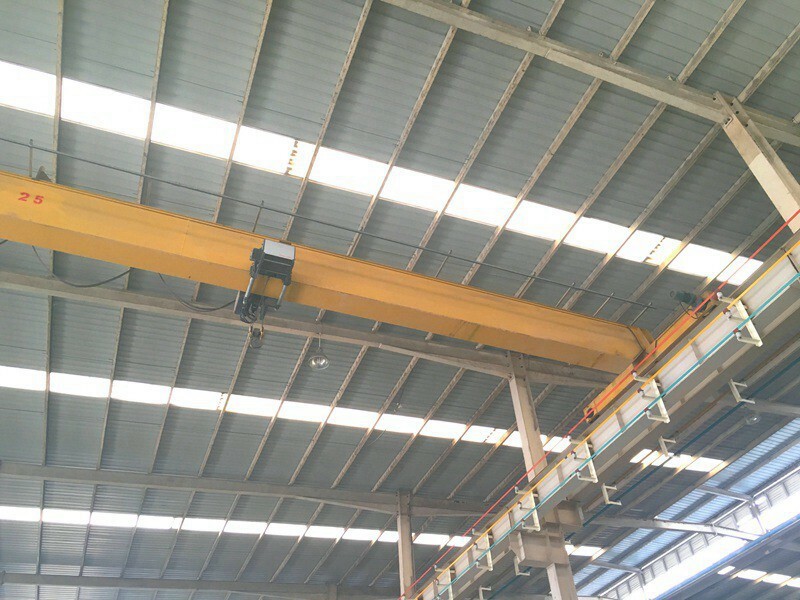 Being one of the highly reputed DIN Standard Material Handling EOT Crane manufacturers, suppliers and exporters, SINOKO Cranes use the best raw material to make the products. 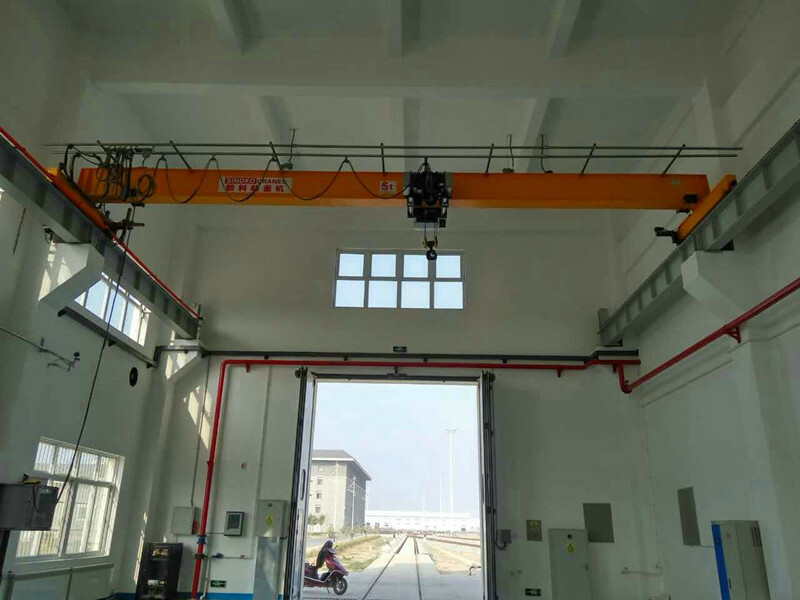 Our expert team of engineers design the cranes keeping the lifting speed, trolley speed and maximum lifting load in mind, so that, the products suit the tailor-made requirements of the esteemed customers. 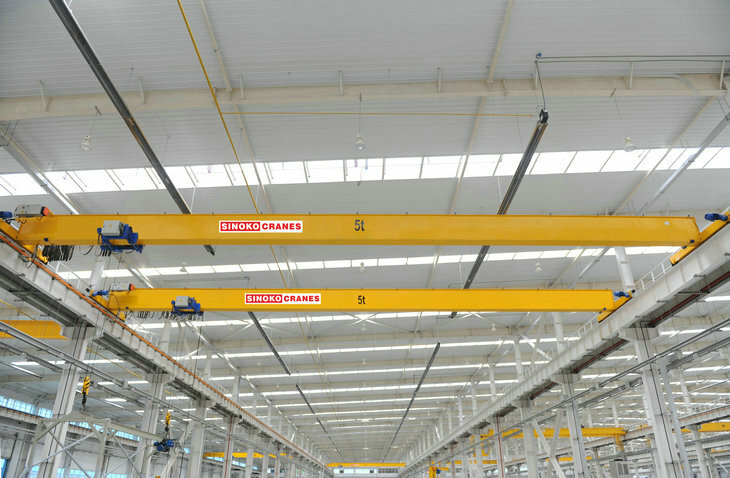 The low headroom design of our offered cranes assures maximum hook travel as well as it also minimizes the beam-to-hook distance. 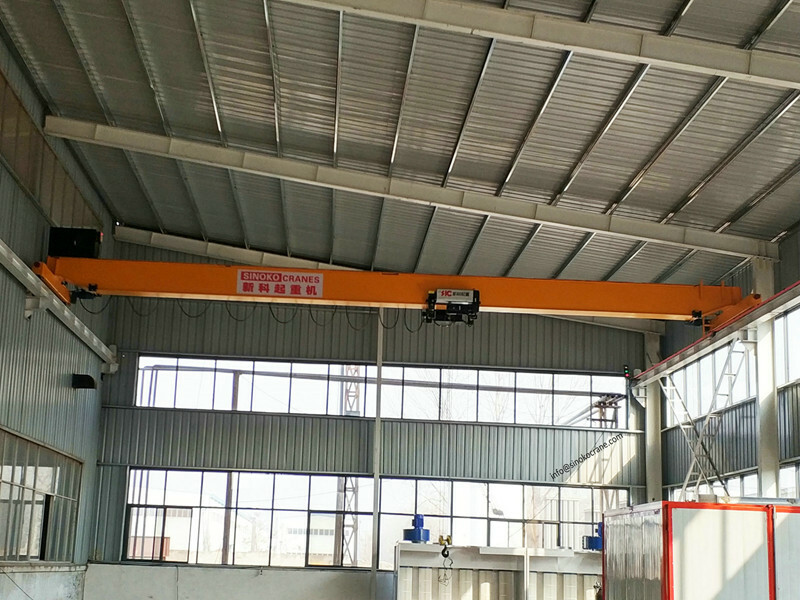 Highly applicable in warehouses, the highly effective DIN Standard Material Handling EOT Crane are convenient and completely safe to use. 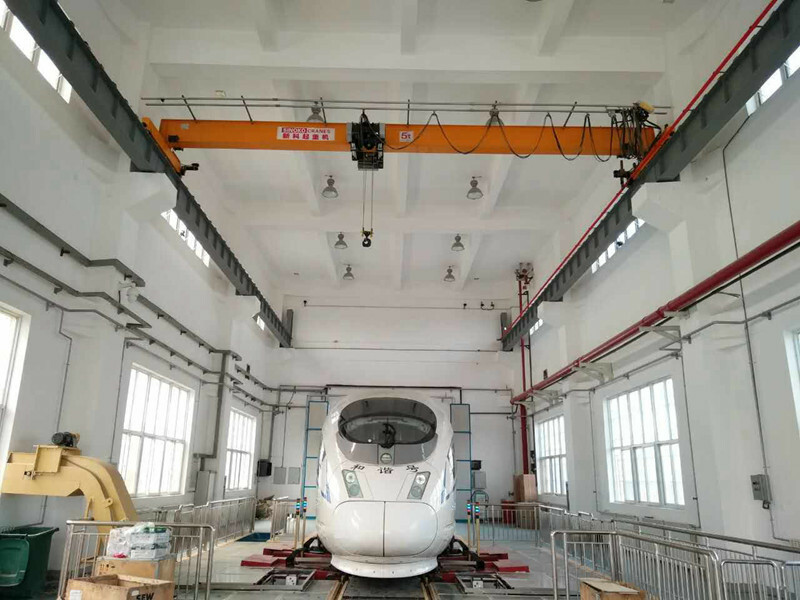 Compared with general overhead crane (bridge crane), weight is reduced by about 15-30% of common crane, max wheel pressure is reduced by about 10-30%. Less requirement to the workshop structure can reduce customers’ production cost. The frame of crane beam is square box frame, it is made by Q235 or Q345 steel plate, it has smaller body to get more lifting space. Motor adopts Insulation grade F, protective grade IP54, it shall also have over heated and alarming function, the motor cover adopts aluminum alloy to drawing the molding, with better heat dissipation.